Ellen DeGeneres is about as universally loved as can be when it comes to celebrities. She's hilarious, compassionate, and (most importantly) the voice of Dory in Finding Nemo. What's not to be obsessed with? Well, fellow Ellen lovers, prepare yourselves to be even more enfatuated, because DeGeneres is officially launching a lifestyle brand. I'm beyond excited. And this isn't just a little side gig for the Oscar host/talk show host/person we all want to be friends with, no. DeGeneres told WWD, who first reported the news about the lifestyle brand that she "wouldn't be doing this if she didn't want it to be the biggest brand name you can imagine." Wow! DeGeneres is teaming up with Chris Burch (last name sound familiar?) to create the collection (named E.D and pronounced Ed), which will include everything from clothing to items for pets. Burch started a sort-of-kind-of famous lifestyle brand called Tory Burch with his (now ex) wife, and knows a thing or two about what he's doing when it comes to this kind of thing, so the collaboration is sure to be successful. However, according to Burch, he isn't the one that will be doing the majority of the work. 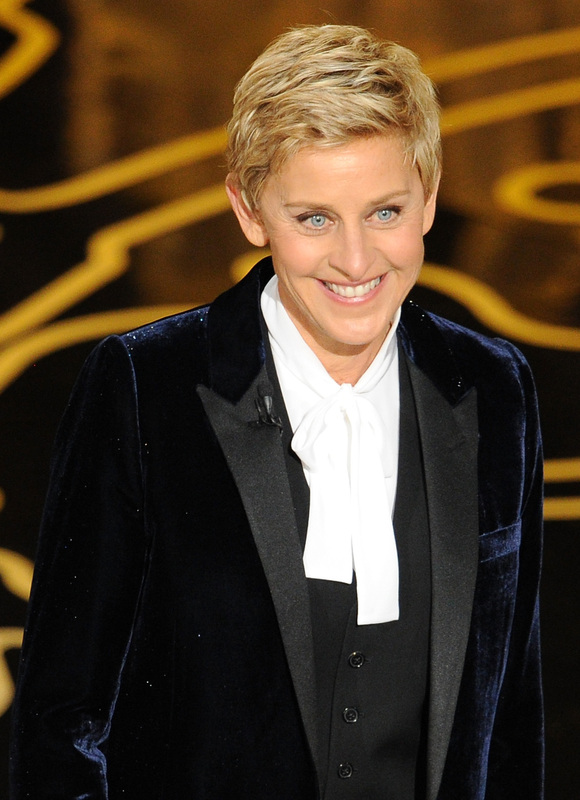 "Ellen will drive the design and merchandise process," Burch said. "...it's Ellen's vision." I'm certainly not complaining about that, as a lifestyle brand designed by someone as smart and creative as Ellen DeGeneres sounds like a pretty good thing overall. Of course, E.D will be facing some pretty tough competition in a market that consists of every major label being connected to some sort of lifestyle brand, or being a lifestyle brand itself. Lauren Conrad? Gwyneth Paltrow? I'm looking at you. But DeGeneres is sure to bring something beyond aesthetics to the market, and that's what's most exciting about the new brand. She's someone who we all want to have in our friend group. And who wouldn't love a lifestyle collection designed and created by one of our funniest and coolest friends, right? E.D is said to hit stores around fall/winter, just in time for the holidays. How convenient.